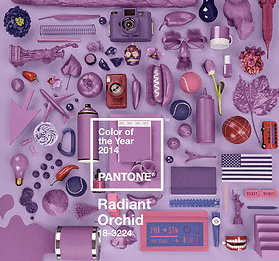 If you have been following along you may remember that my favorite color, Radiant Orchid, is the Pantone Color of 2014. I bought this sweater just before I discovered this fabulous news because this shade of purplish/redish is generally hard to find. But I hope that since radiant orchid is the color of the year I will see lots of amazing clothing in my favorite color. The 5X is just a little large on me. To compare my measurements to yours, click HERE. For information about my bracelets, click HERE. This entry was posted in Torrid and tagged Sealed With a Kiss Design, SWAK, SWAK Leggings, SWAK Plus Sized Clothing by affatshionista. Bookmark the permalink.